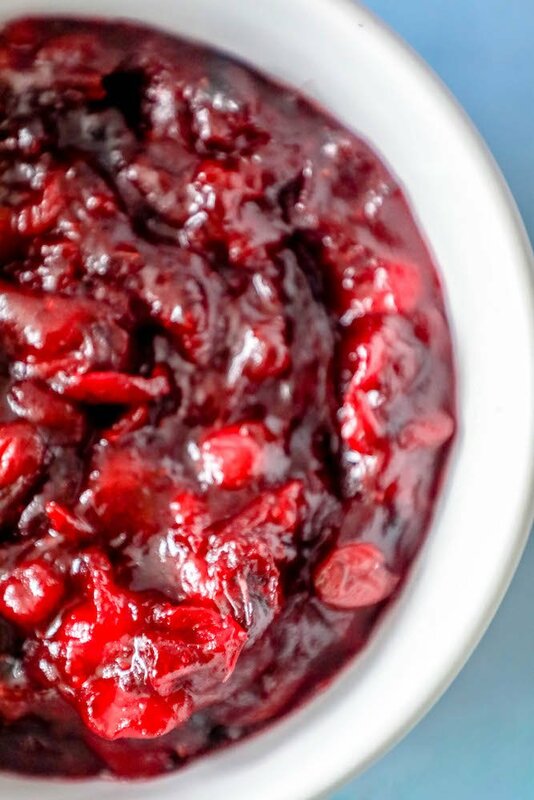 The Best Easy Homemade Cranberry Sauce Recipe – delicious sweet and tangy cranberry sauce in less than 15 minutes with just one pot! 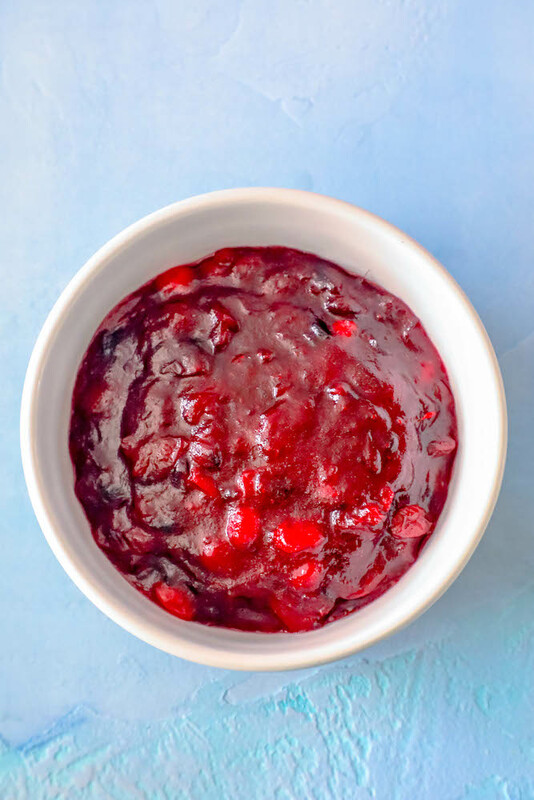 This easy cranberry sauce combines fresh cranberries, sugar, and orange juice for a delicious, simple, and fresh cranberry sauce that is done in under 15 minutes in just one pot. 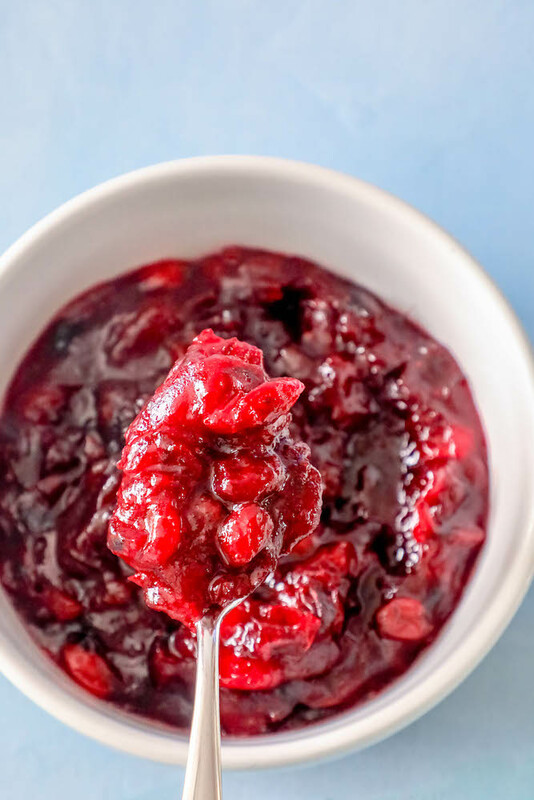 If you love canned cranberry sauce, you won’t believe just how easy it is to make your own cranberry sauce at home – simply dump the ingredients in a pot, stir, and cook! This recipe is a tried and tested classic from our family – we hope you love it as much as we do! 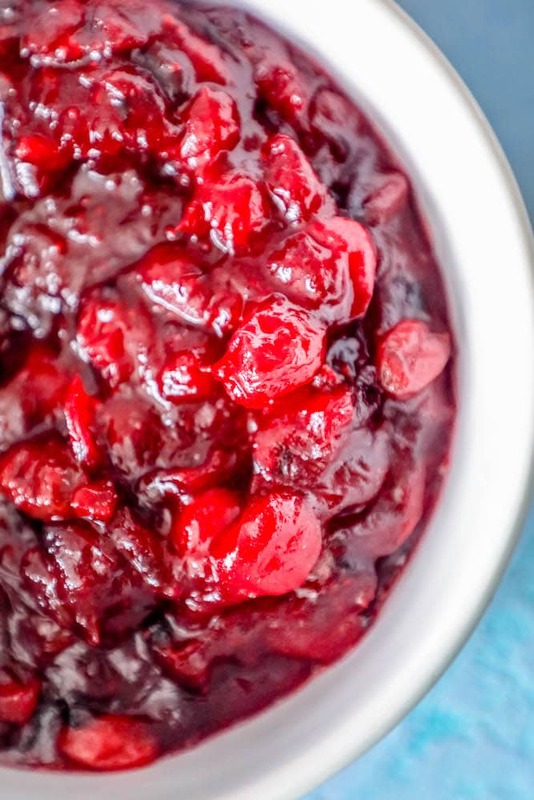 Just Take Me To The Best Easy Homemade Cranberry Sauce Recipe Already! If you’d like to skip my helpful tips and tricks please scroll to the bottom of the page, just above the comments, where you will find the easy printable recipe. I get a lot of questions and requests for similar recipes on my posts, so I try to include as much information as possible. Orange juice is the perfect addition to cranberry sauce – it is sweet, just a little tart, and brings a truly festive and delicious kick to pair with the cranberry flavor. Orange juice is a great way to counteract some of the bitterness in cranberries, while still adding flavor and some sweetness. I personally prefer to use freshly squeezed orange juice, but you can use your favorite variety. For even more orange flavor, you can add freshly grated orange zest to the cranberry sauce – it is beautiful and brings a bright, citrusy kick! If you’re sticking to a low carb diet, fruit isn’t something you grab on a regular basis – but with a few simple modifications, this recipe will fit into your keto diet as long as you don’t over-indulge. 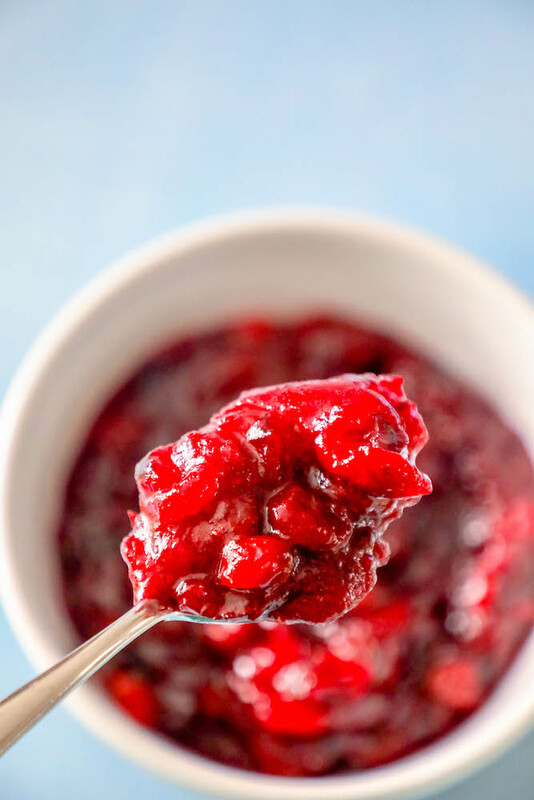 Think of this as a holiday treat with no added sugar more than an everyday staple into your diet… just a spoonful will do to bring cranberry flavor to your Thanksgiving dinner. -Use 2 tbsp orange zest and replace orange juice with water. 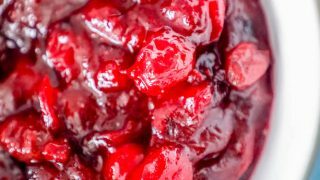 Easy cranberry sauce is one of the best parts of Thanksgiving – so I am providing lots of tips and tricks to be sure yours turns out fabulously! -Add water and sugar first, stir to dissolve sugar in water so it doesn’t burn on bottom of pan. -Add cranberries after water starts to boil to prevent sticking to bottom of pan. -If you accidentally over-reduce sauce, add up to ½ cup water to loosen sauce up. -Let cool completely before serving for thicker sauce. -Keep over medium heat, stirring occasionally as cranberries start to burst and cook down. Big Thanksgiving dinners often come with lots of leftovers – so I am adding tips on storing homemade cranberry sauce so it’s ready for all of your leftover turkey meals! -For freezing, I often add cranberry sauce to an ice cube tray for perfect single-serving portions I can pop out and let naturally defrost for meals later in the week. -To store in the fridge, use a small airtight container and keep no more than four days. If you love this easy cranberry sauce recipe, you are going to love my other Thanksgiving favorites! If you love fresh cranberries in fall, you are going to love these other easy cranberry recipes! If you love this easy homemade cranberry sauce recipe as much as I do, please give it five stars and help share on facebook and pinterest. 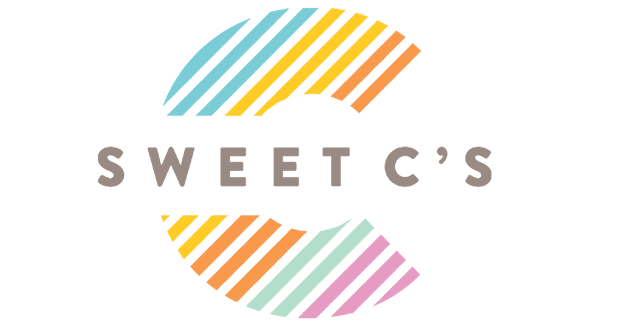 Combine the sugar, orange juice, 1/2 cup water, the cinnamon, salt and cranberries in a medium saucepan. Bring up to a simmer over medium heat and cook for 15 minutes.